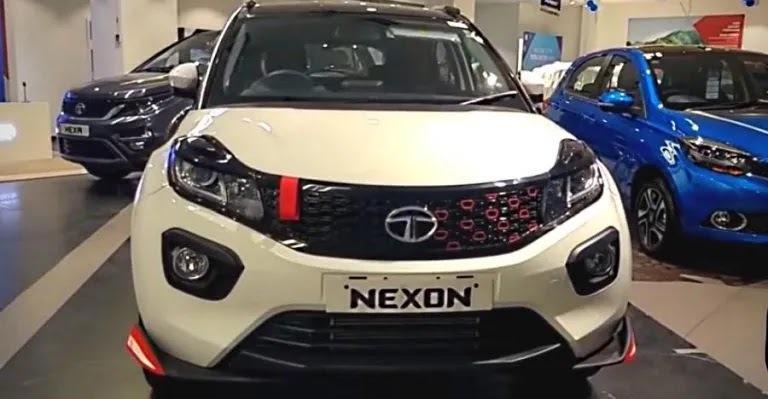 Tata Nexon comes with many accessories but still if its not enough for you then here is Red Rhino 2.0 accessory kit for Tata Nexon. The kit is designed by Vinay Kapoor. Kit includes the mods like front grille chrome get black gloss paint. Hexagonal rings insert got red paint, hood strap for the bonnet, Front canards on both sides. One of the Diamond cut got red color on Alloy wheels. On side bottom the Nexon is written in different than usual font. Two tone paint on side roof lining with red stripe wrapped on it. The cost of Red Rhino 2.0 Accessory kit is INR 45,000.